Since the earliest days after our founding, AMERICAN AQUATICS has been working with our clients to resolve stormwater permitting issues. We have developed SWPPPs for construction and industrial sites in at least 22 states. Our staff has an excellent understanding of stormwater permitting requirements throughout the United States. Not only do we have a detailed understanding of the laws and ordinances throughout the country but our staff is also well versed in proper field techniques to assist you in meeting your regulatory requirements. We have spent the time in the field getting cold and wet. 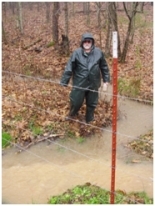 We can design operational plans that reduce the burden of stormwater sampling. We have the “real world experience” to go along with our “book learning.” If you have to take stormwater samples we can do that for you and see that they get to a lab on time. We will even prepare your DMR if you wish. You are probably now required to perform stormwater inspections at your site. Our staff is trained and can work in all 50 states. We can perform the necessary inspections or help you and your staff to do the inspections. 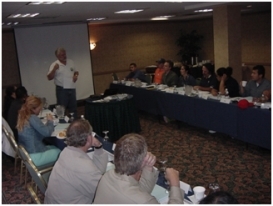 We not only have taken the training but we teach courses about stormwater permitting, performing stormwater inspections and erosion and sediment control. Our objective is to develop plans and procedures that simplify your stormwater needs. You want to do the job you were hired to do and we understand that stormwater is a new regulatory burden. We work to ease that burden. When you have a question about stormwater permitting call us at AMERICAN AQUATICS. We will work to assist you in meeting all of the regulations so that you do not get fines or stop work orders. Let our experienced staff show you an easier way to meet these regulations.